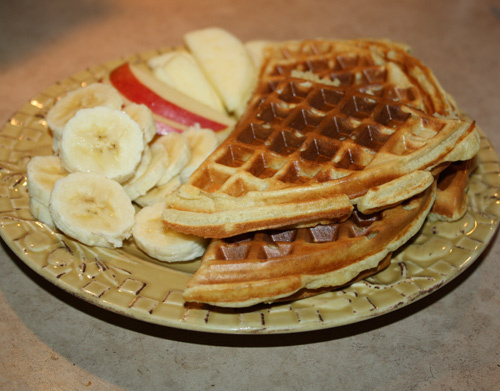 Share the post "Waffles on Friday!" When thinking of gluten-free flour, I have always imagined this heavy, tasteless pastries and bread…. For the past two weeks with some failed recipes and pretty successful once, I have realized that by replacing a wheat flour, you can still maintain the fluffiness and a great taste. And there is so much resource out there on the web, book, magazines for some great recipes, baking wheat-free and dairy-free…. amazing! Me and the boy have enjoyed the waffles on Friday, which were very good! 1 1/3 milk or substitute (I used almond milk). First mix dry ingredients in mixer. Then mix in milk, eggs and coconut oil. 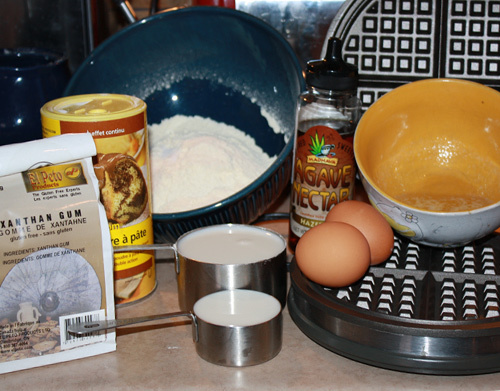 Spread the batter into the waffle maker.